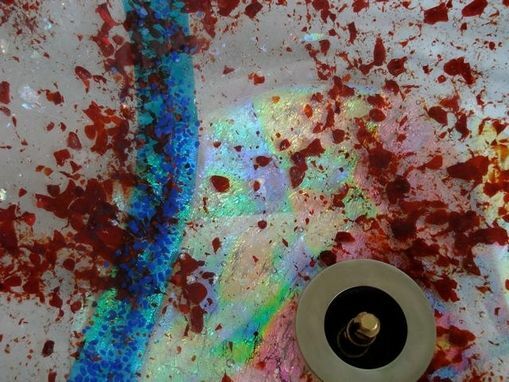 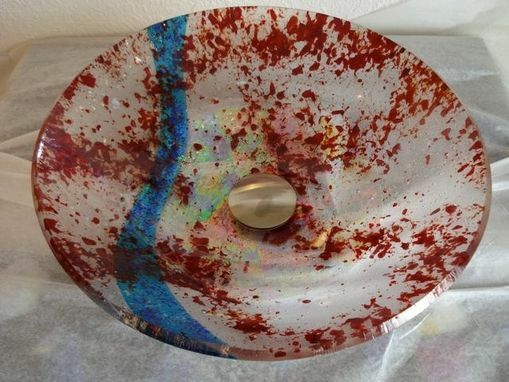 The clear glass serves as a perfect backdrop for the multicolored glass specks in this inimitable glass vessel sink. 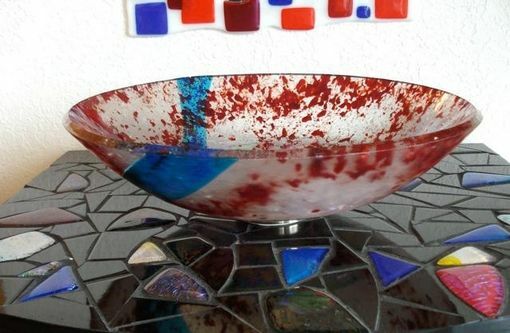 As if the heat-flashed combo of clear and colored weren't enough, you'll be surprised to know and see that the beauty of the dichroic glass , fused with oxides, in addition to metals like aluminum, copper, and gold - is further accentuated by splashes and spots of red in various shades. 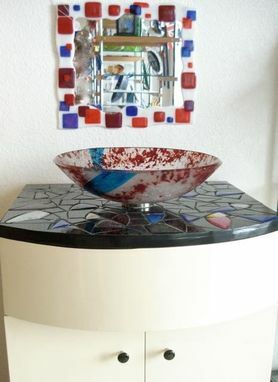 While the look of the glass tends toward the eclectic, the melange of color is offset nicely by a somber brushed-nickel mounting ring and pop-up drain. 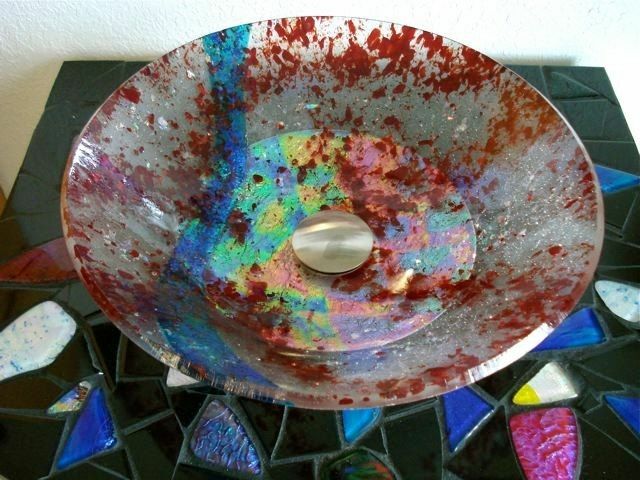 The sink is 4 1/2'' deep and 15'' in diameter.